Lenny Kravitz will perform on NBC-TV’s The Tonight Show starring Jimmy Fallon on Monday, September 17. 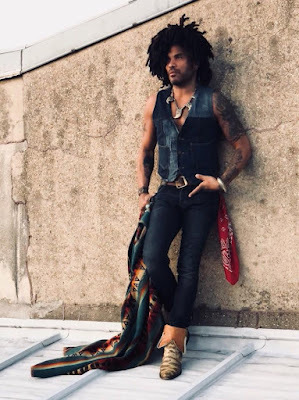 The rocker’s appearance is to promote his newly-released eleventh studio album, “Raise Vibration”, and the launch of a fall US tour in support of the record that will open in Atlanta, GA on September 21. On the same day as the tour starts, Kravitz will introduce a vinyl reissue series with the re-release of his first five albums. The singer will present 1991's “Mama Said”, 1993's “Are You Gonna Go My Way”, 1995's “Circus”, and 1998's “5” on 2LP 180-gram black vinyl – in addition to individualized limited-edition, color variants. As part of its 30th anniversary, Kravitz’ 1989 debut, “Let Love Rule”, will follow on November 30, with all of the records except “Mama Said” set to feature non-album tracks, with many of them appearing on vinyl for the very first time.